Even if you are following the strict rules and regulations for drones that have been put in place by the FAA, you may not be following any existing laws and/or rules that are set by the state you are flying in. Because of some serious accidents that happened with drones in Washington, including the crash into the Space Needle crash and the Pride Parade knockout in Seattle, you’re going to have a difficult time finding somewhere to legally fly in Washington. The Marymoor Park Airfield in Redmond is a legally safe place to fly a drone, but only if your drone is registered with the FAA and you follow the liability and safety rules put forth by the MAR/C Club. You can learn more information on the Marymoor Park Airfield flying space by clicking here. 60 Acres, also in Redmond, is located next to the Sammamish River Trail offering up to 25 fields, parking areas, covered picnic areas, and more. It’s 100% legal and safe to fly your drone there, but you will need to check with them about when and where you can fly your drone that day because of other activities and functions that may be going on during particular days. Otherwise, you can check with the Washington Trails Association for more information on where you can and cannot fly trail wise. They will also be able to give you more information on where you are able to fly outside of major trails, as well. This is enacted nationwide, not only in Washington, under Part 101 of the Act, being Special Rule for Model Aircraft, to ensure that drone operations under unsafe conditions are disapproved before the drone can be launched. It is unlawful to operate any motorized model aircraft or motorized model watercraft in any park except at places set apart by the Superintendent for such purposes or as authorized by a permit from the Superintendent. There are currently a number of bills in circulation within the state of Washington surrounding drones. AN ACT Relating to unmanned aircraft; adding to a new section to chapter 47.68 RCW; adding a new section to chapter 4.24 RCW; and prescribing penalties. 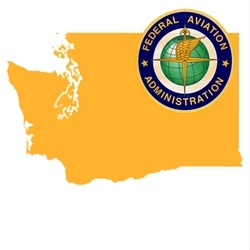 It is unlawful for a person to launch an unmanned aircraft in Washington state without specific federal authorization unless the unmanned aircraft is clearly and prominently labeled with the name and phone number of the unmanned aircraft’s owner and operator. It is unlawful for an operator of an unmanned aircraft to, without specific federal authorization, operate the unmanned aircraft over real property without lawfully owned or occupied by a person, other than a public agency, without the consent of a lawful owner or occupant of the real property. Subsections (1) and (2) of this section do not apply if the unmanned aircraft is lawfully in the flight path for landing at an airport, airfield, or runway and the unmanned aircraft is lawfully in the process of taking off or landing, pursuant to specific federal authorization. 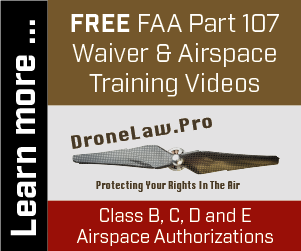 Any person who operates an unmanned aircraft in violation of subsection (1) or (2) of this section commits a class 2 civil infraction punishable under chapter 7.80 RCW. The penalties provided in RCW 47.68.240 do not apply to this section. This section may be enforced by any law enforcement officer. “Law enforcement officer” means any general authority, limited authority, or specially commissioned Washington peace officer or federal peace officer, as those terms are defined in RCW 10.93.020. “Public agency” has the same meaning as defined in RCW 42.30.020. “Radio-controlled aircraft” means an aircraft with no human pilot on board that is entirely manually controlled using a handheld radio transmitter and that is not capable of autonomous flight. “Specific federal authorization” means lawfully permitted under the federal aviation administration modernization and reform act of 2012, P.L. 112-95, as in effect of January 1, 2015, except that “specific federal authorization” does not include operation of an unmanned aircraft as federally authorized under the special rule for model aircraft provided in section 336 of that act. “Unmanned aircraft” means an aircrafter, other than a radio-controlled aircraft, with no human pilot on board. An owner or lawful occupant of the real property has notified the owner or operator of the unmanned aircraft that an owner or lawful occupant of the real property did not want the unmanned aircraft flown over the property. A person may not bring an action under this section if the unmanned aircraft is lawfully in the flight path for landing at an airport, airfield, or runway and the unmanned aircraft is lawfully in the process of taking off or landing, pursuant to specific federal authorization. In any action brought under subsection (1) of this section, a person may recover actual damaged or elect to recover, without proof of special damages, five hundred dollars as liquidated damages. A person may be awarded injunctive relief in the action. This section is not intended to limit the rights and defenses available at common law under a claim of liability for wrongful occupation of real property. A prevailing plaintiff under this section is entitled to recover reasonable attorneys’ fees and legal expenses. These expenses are not confined to the costs allowed under RCW 4.84.010. “Specific federal authorization” means lawfully permitted under the federal aviation administration modernization and reform act of 2010, P.L. 112-95, as in effect on January 1, 2015, except that “specific federal authorization” does not include operation of an unmanned aircraft as federally authorized under the special rule for model aircraft provided in section 336 of that act. “Unmanned aircraft” means an aircraft, other than a radio-controlled aircraft, with no human pilot on board. AN ACT Relating to the use of unmanned aerial systems near certain protected marine species; and amending RCW 77.15.740. (b) “Vessel” includes aircraft while on the surface of the water, and every description of watercraft on the water that is used or capable of being used as a means of transportation on the water. However, “vessel” does not include inner tubes, air mattresses, sailboards, and small rafts, or flotation devices or toys customarily used by swimmers. Hello, I’m with Seattle Parks and Recreation, and writing to ask you to correct inaccurate information posted at http://www.dronethusiast.com. Per SMC 18.12.265, flying drones and other model aircraft is legally prohibited in _all_ Seattle parks. Please correct your website to no longer list Alki, Carkeek, Golden Gardens, Green Lake, and Pritchard as places where drones can legally be flown. Thank you! Thanks, Laurie! We have updated our information. Flying a drone by an FAA certified pilot is IN FACT, NOT illegal, when flown above your parks. 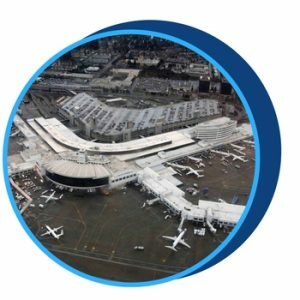 Congress has specifically stated numerous times that the FAA is the only government agency that can regulate the airspace above our country, not Seattle Parks and Recreation, not Seattle Police, not the Washington Governor, etc.. A recent Federal Appeals Court case (Singer v. City of Newton, MA) affirmed that a city does NOT have the legal authority to regulate drone use in airspace above their city, albeit it was in another District, it sets the precedence for this type of activity. The judge ruled that the city does not have the authority due to Federal Government pre-emption. All it takes is for your city to issue one citation, the offender takes it to court, and you’ll quickly lose the case. Fly safe everyone. I agree with you Derek. The problem is they gt you by Law=fare. Who wants to go to the trouble and expense of fighting them just to prove a point? We need a gofundme account to finance fighting these things. Correct, but they cannot fly from the park. Overflight itself is generally permissible, as long as the intent is limited to that. What happens if i don’t register a drone before flying? Hello, I am curious about the contradicting information in your post. You sate a few parks that you can fly legally but then state that it is “legally prohibited to fly in ANY park in WA state. Please clarify as to why these parks are exceptions. Thanks! The “any park” language is for Seattle, not WA. Lake Sammamish State Park is in Issaquah, WA, 15 mi west of Seattle. Err- whoops. LSSP is 15 mi *east* of Seattle. However, I can tell you that it is highly unlikely that you will be granted permission since there are a vast number of bird species alone that inhabit Lake Sammamish State Parks. The primary mission of State Parks is to protect natural resources, wildlife habitat and park user experience, and drone use around nesting areas is prohibited. A security guard politely told me yesterday that operating a drone anywhere in Seattle was illegal unless you have a Seattle Master Film Makers license and permission first. If that’s true it would make it the most strict rules anywhere I’ve ever been. An outright ban. Is there any truth to this? Can a HOA in WA State ban the use of drones by a licensed commercial sUAS pilot? Is there any precedence for this? I was shooting some real estate photos of common areas like the pool and tennis courts and was told they have a strict no drone policy by a staff member. I didn’t see it posted anywhere and was wondering if there’s any precedence for this. I see other listings for this area with drone images, even some listed by an agent that lives at the community. In spokane county rural property can a recreational drone be frown over private properties? Someone was anonymously flying a drone just east of the Montlake Cut and pursued a bald eagle (only for a matter of seconds). They were flying about 20 feet over traveling boat traffic, including myself on a paddle board. I’m curious if all of that is legal. Seemed like poor judgement but wondering if still legal. I could not see was operating the drone. I really don’t see the purpose of buying a drone when the vast majority of use cases it is illegal to use it. It’s pretty much like owning a gun. You have very few and specific places you can fire a gun, and anything else is illegal. So I don’t see how a drone market can sustain itself when a thousand people have to gather at the same place with their drone and fly them over the same boring scenery. Yeah, that’s cool for a day… then what? It’s a novelty that is totally stifled from any practical use. My ideal use case was to follow criminals. Our neighborhood is constantly hit with car prowlers, and nothing would be greater than launching a drone and following this human garbage back to their car and get their plate, or follow them while calling 911 and giving real time update of their exact location. A drone allows YOU to remain safe while following a criminal. Just insane that this use is totally illegal. I have a neighbor who is flying over my property all the time has threatened to run my out cause I am a renter his drone is very small but the noise is quite annoying. He is now flying it in the dark and is much lower than his normal 300 ft or so. Anyone have some suggestions how to deal with this?